If you live in Little Havana and you were injured in an accident, or your loved one was killed, we recommend contacting Little Havana accident lawyer or attorney at Gerson & Schwartz P.A. Many serious and fatal accidents are caused by other parties’ negligence, recklessness, or willful misconduct. If this is the case if your situation, then you may have the right to pursue compensation. For example, if you were injured in a car crash, someone is likely at fault. The crash and your injuries may have been the result of another driver speeding or running a red light. Because the other driver is at fault, you have the right to pursue compensation through an auto insurance claim or personal injury lawsuit. At Gerson & Schwartz P.A., our bilingual attorneys are here to listen to your experience and advise you of your rights and options. If it appears you have a valid personal injury or wrongful death claim, we will investigate the accident, gather evidence, and guide you through the insurance claim and legal processes. To schedule a free consultation, contact us online or call (877) 475-2905. Little Havana is a neighborhood of Miami that lies west of downtown. Its name came about in the 1960s as the neighborhood became home to many Cuban fleeing Castro and other Central and Southern American immigrants. By 1970, some estimate that the neighborhood population was more than 85 percent individuals of Cuban descent. (Havana is the largest city in Cuba and the nation’s capital.) Prior to this, the area was predominantly Jewish. As of the 2010s, Little Havana is a predominantly Hispanic neighborhood, but the Cuban population has decreased. Little Havana is more than a neighborhood. It is a cultural, social, and political center. It hosts many events and visitors every year. In 2015, the National Trust for Historic Preservation listed Little Havana on its 11 Most Endangered Places list, and in 2017, the organization declared it a national treasure. 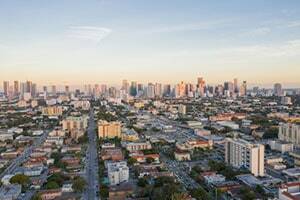 However, as idyllic as Little Havana can seem, it is a busy Miami neighborhood that experiences many accidents and tragedies. Our accident lawyers for Little Havana at Gerson & Schwartz P.A. represent residents of the neighborhood who were injured due to other people’s negligence each year. If you were injured in an accident, it is essential you determine whether another person, business, or municipality is liable. If someone else was at fault, then that person or their employer may be legally responsible for compensating you for your injuries. It is not enough to think or believe that someone else is at fault. You need proof. This is why it is beneficial to hire a Little Havana accident attorney from Gerson & Schwartz P.A. to investigate the accident and gather evidence on your behalf. Our dedicated attorneys understand how important it is for you to obtain full and fair compensation for your injuries. You need this recovery to make up for all of the expenses associated with the accident and for your financial losses. The more serious your injuries and the more permanent the consequences, the more important it is you work with an accident attorney for Little Havana who will fight to maximize your financial recovery. But this compensation is not simply about economic need. You deserve compensation for the physical and emotional pain the other party caused you. Additionally, by obtaining compensation after an accident, you gain a small amount of justice, which can help you move forward. If you are a Little Havana resident and you were injured in an accident or lost your spouse, parent, or child, call us today. We are here to investigate what happened and determine if another party was at fault. If a person, business, or municipality is responsible for your current situation, we will fight hard for you to receive full and fair compensation. To speak with a bilingual Little Havana accident lawyer, contact us online or call (305) 371-6000.